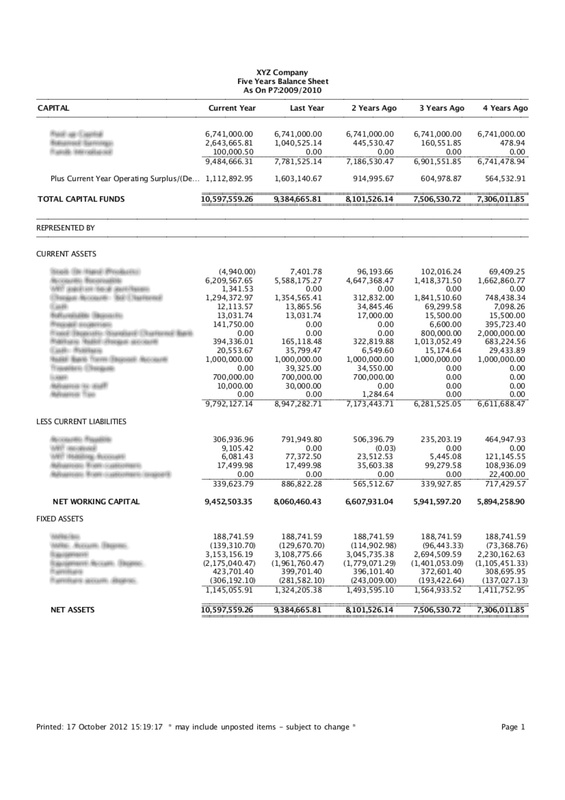 You can run the 12 months Balance Sheet report to analyze the financial position of a company of 12 months within a fiscal year. 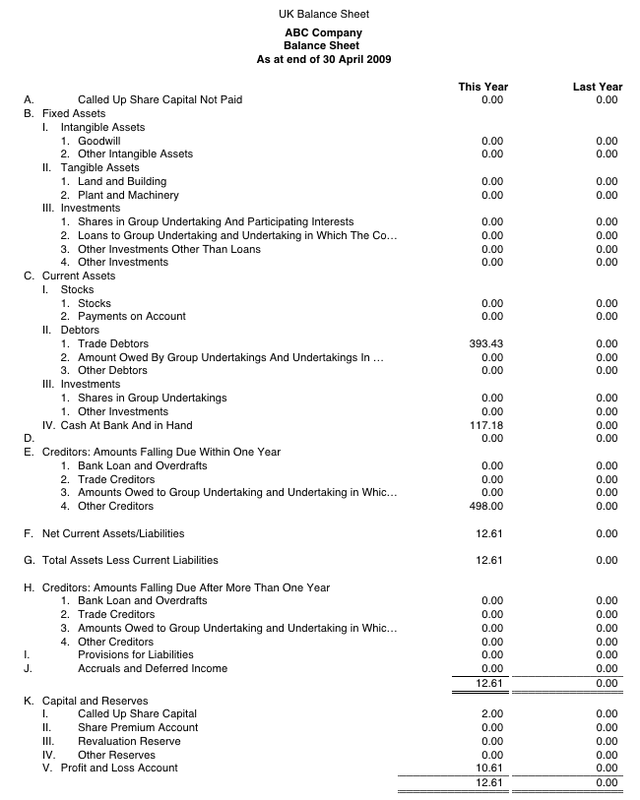 You can run the 5 Year's Balance Sheet report to get the view of financial position of a company of last 5 years. This report runs UK Format Balance sheet: CATEGORY 1 Field should be linked up with the Balance Sheet items (i.e accounts).